The Bengals haven’t seen much of their first-round pick so far this preseason, and Thursday brought a sight they definitely didn’t want to witness. 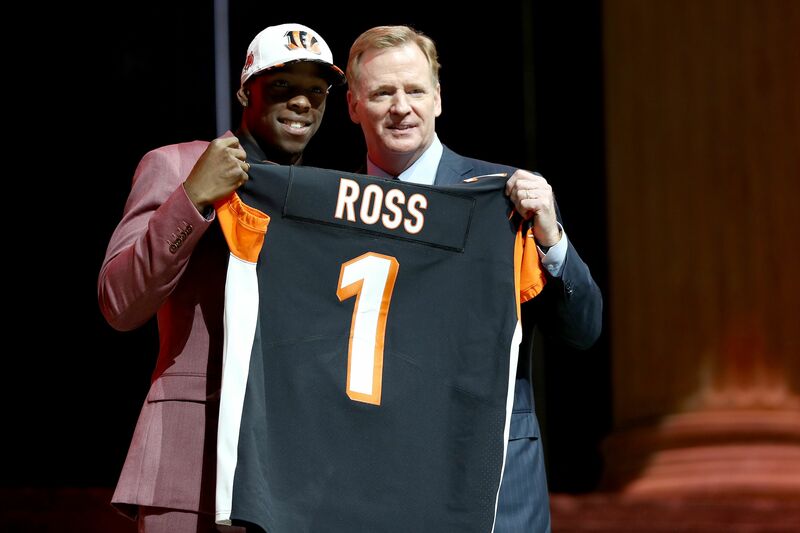 Cincinnati Bengals wide receiver John Ross has blazing speed and legit skills, but he hasn’t been able to show them off much to date. Hopefully, what happened to Ross in the team’s final preseason game doesn’t mean that state of affairs will continue into the regular season. Ross had a catch and took a handoff on a jet sweep for 25 yards in the first quarter of the Bengals’ game against the Colts. But he then left the field with an apparent knee problem and was ruled questionable to return. While the apparent injury was to Ross’ left knee, Pro Football Talk reported that Ross also had his right knee examined when he went to the locker room. It’s not just the spectre of injury but knee issues in general that might worry Bengals fans. Ross had problems with both knees in college, including an ACL tear in his left knee. He also had shoulder trouble during this past offseason, so some teams had understandable concerns about his health leading into the NFL Draft. That didn’t deter the Bengals, seeking someone to take some attention off of star A.J. Green, from selecting Ross with the ninth overall pick in April. His 4.22 40 time broke the combine record, but he also strained his hamstrings in the process and wasn’t able to complete all of the drills there or at Washington’s Pro Day. Fortunately, Ross was spotted with his helmet on the sideline later. John Ross is back on the sidelines, without a helmet. His night is done but hopefully the injury is nothing to worry about. Because of his previous problems, Ross is always going to cause some extra nervousness any time he looks banged up, but here’s hoping we get to see him at full strength on the field during his rookie season.